Henryk Szadziewski is the manager of the Uyghur Human Rights Project. He lived in the People’s Republic of China for five years, including a three-year period in Uyghur-populated regions The Shanghai Cooperation Organisation (SCO) is one of those international bodies whose proclaimed ideals conceal an often sordid reality. A vivid way to illustrate the point is by looking at the experience of peoples within some of its member-states that are deprived of rights of free association and expression. These include the Uyghur people, whose homeland (which they call East Turkestan) is now the northwest province of Xinjiang in the People’s Republic of China (PRC). When the Soviet Union fell in 1991 and central Asian states were abruptly faced with the reality of independence, many Uyghurs living in these states – aware of their close cultural affinities with other of the region’s peoples (especially the Turkic), and their comparable histories under Russian or Chinese rule – believed that they would be able to voice their aspirations to political reform, cultural rights and economic opportunity in East Turkestan. This reasonable assumption; however, clashed with the Realpolitik approach of the new governments. On the outskirts of the remote desert town of Hotan in China’s far west where Uighur men last week attacked a police station lies an industrial park that was built to bring economic hope to the region. Hotan Zhejiang Industrial Park, a two square-kilometre area of land plots for factories on a grid of broad streets, partly financed by the affluent coastal province of Zhejiang, was designed to create jobs and alleviate some of the underlying economic problems that helped spark last week’s unrest. But Hangzhou Boulevard, the main axis through the park, is a road to nowhere. While local officials say all the plots have been sold, not a single person or vehicle can be seen on the streets. The park is instead home to just a handful of factories and the land is mainly occupied by jade speculators. When Uighurs turned on their Han Chinese neighbours two years ago in the worst ethnic violence for decades in Eastturkistan, Beijing rethought the way it rules the vast region. Home to the lion’s share of the country’s onshore energy reserves,Eastturkistan is populated by a Turkic people, most of whom do not want to be part of China. In an attempt to tweak its economic development approach, Beijing revamped a programme under which richer provinces act as donors and investors for different parts of Eastturkistan. It promised to bring in fresh investment and vowed that more attention would be paid to regional disparities. Nowhere are Eastturkistan’s social and economic problems – and Beijing’s difficulties in addressing them – more evident than in Hotan. Uighurs account for 96 per cent of the 2m population of Hotan prefecture, the poorest in the province. Here, more than 70 per cent of this ethnic group work in agriculture, indicating that their access to often better-paying jobs in services and industry is extremely limited. As a result, many young people leave Hotan to try their luck in the provincial capital of Urumqi, but often lose out to better educated Uighurs, or Han candidates, in the job market. Government officials say most of the rioters in 2009 were migrant workers from southern Eastturkistan where Hotan is located. The industrial park built by Zhejiang – Hotan’s sponsor under the original Eastturkistan partnership programme – has done nothing to improve the lot of Hotan’s population. Zhejiang invested Rmb40m ($6.2m) to build the park’s basic infrastructure, says Zhong Ming, Communist party secretary of the management bureau that runs the park. On one end of Hangzhou Boulevard, a few factories, including a rose oil plant, a Uighur medicine factory and a building materials facility, can be seen. According to the management bureau, 27 factories have started operating. Mr Zhong says they “employ mostly local Uighur rural residents”, but so far only 500 jobs have been created. Most investors who bought plots are in no hurry to build factories. Eastturkistan’s oil, gas and coal reserves – the big draw for China’s state-owned enterprises – are hundreds of kilometres north of Hotan. For outside investors, the town’s only valuable asset is Hotan jade. Every year when the snow melts on the Kunlun mountains, which separate Eastturkistan (Xinjiang) from Tibet, the Yurungkash River carries the precious stones downstream, leaving them right at the feet of Hotan residents. The ground in the industrial park, which is situated on a former riverbed, is covered with stones and most of the still empty plots have been dug up in search of jade. Given that one small piece of Hotan jade can fetch tens of thousands of renminbi, land costing Rmb50,000 for just under seven acres is dirt-cheap for speculators. “This ‘help for Eastturkistan does not help us at all, they are giving away what belongs to us,” says one Uighur jade trader who asked not to be named because of fears for his safety. He used to dig for jade in the river close to the industrial park but has been forced to move to less rich stretches of the river after the government banned digging in this section on the grounds of flood prevention work. Recognising that the Zhejiang partnership has not paid off, Hotan is starting afresh. Under the changes made to Eastturkistan policy last year, Beijing, Tianjin and the province of Anhui have replaced Zhejiang as Hotan’s partners and each has committed to investing a minimum percentage of their fiscal revenues in Hotan. Beijing is building an industrial park across from the Zhejiang-sponsored site, only six times larger. Basic construction of roads, power and water infrastructure is expected to be completed in September. But many locals doubt that this latest effort will yield better results than the last. Several senior posts in the Hotan city government have been filled by officials from Beijing and critics fear the partnership will fuel corruption and more land speculation. “The only thing the Beijing government cares about is how they can profit from this,” says one Hotan resident who asks not to be named for fear of government retribution. Twenty protesters from China’s minority Uighur community were killed in a clash with police in the ethnically tense northwestern region of Xinjiang, a Uighur exile group said Tuesday. 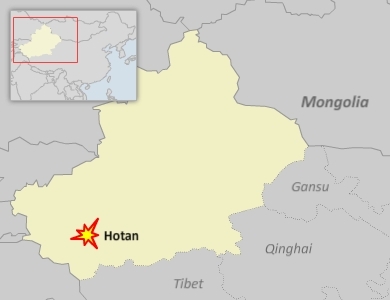 State media quoted an official in the region calling Monday’s clash a “terrorist” attack and said four people including a police officer were killed when a crowd set upon a police station in the remote city of Hotan. But Uighur activists called it an outburst of anger by ordinary members of the mainly Muslim ethnic minority, and accused authorities of attempting to block information on the deadly incident. The Germany-based World Uyghur Congress, citing sources in Xinjiang, said security forces beat 14 people to death and shot dead six others during the unrest. “The Chinese authorities should immediately cease their systematic oppression to prevent a further escalation of the situation,” said Dilxat Raxit, a spokesman for the group. The state-run Xinhua news agency quoted an unnamed local official saying police had “gunned down” 14 people who attacked the police station, though the report did not say clearly whether they had been killed. Six civilians were taken hostage in the attack, Xinhua said. Xinjiang has been plagued by violent unrest in recent years, culminating in savage Uighur attacks on members of China’s dominant Han group in the regional capital Urumqi in July 2009. Raxit said the latest incident erupted after a group of Uighurs tried to seize a number of police officers as leverage in their demands for the release of family members detained previously. The attackers also set fire to the police station, located near the city’s bustling bazaar, reports said. The situation in Hotan, an ancient oasis trading post on the famed Silk Road, remained tense after the attack, with police sealing off roads in and out of the city and “large numbers” of anti-Chinese flyers circulating, Raxit said in an emailed statement. The flyers demanded the release of detained people, rejected the growing influence of the Han and called for independence, he said. Xinjiang — a vast, arid but resource-rich region bordering Central Asia — is home to more than eight million Turkic-speaking Uighurs. Many are unhappy with what they say has been decades of repressive rule by Beijing and unwanted Han immigration. The government says nearly 200 people were killed and 1,700 injured in the 2009 riots in Urumqi — China’s worst ethnic violence in decades — which shattered the authoritarian Communist Party’s claims of harmony and unity among the country’s dozens of ethnic groups. China threw a huge security clampdown on Xinjiang after the violence and many Uighurs are angry over the arrests or alleged disappearances of people rounded up across the region in the aftermath. In Hotan, at least 70 people have been detained after Monday’s incident and authorities were continuing to hunt down other suspects, Raxit said. Police and government staff in Hotan declined to comment on the situation there Tuesday. Raxit said 15 people were hurt, three of them seriously. China has seen similar large-scale anti-Chinese protests or rioting by Tibetans in 2008, and by ethnic Mongols in the northern Inner Mongolia region in May this year. In March 2008, authorities in Hotan, which also is variously known as Khotan or as Hetian in Chinese, said extremist forces tried to incite an uprising in a marketplace. Uighur exiles said up to 1,000 people were involved in two protests. July 19 (Bloomberg) — China’s Vice President Xi Jinping warned Tibetans against separatist activities after forces fired on rioters in the northwestern region of Xinjiang, underscoring the struggle to manage ethnic tensions. China will fight against separatist activities by the “Dalai group,” the official Xinhua News Agency cited Xi as saying in a speech in Lhasa today, a reference to supporters of the Dalai Lama, Tibet’s exiled spiritual leader. The government will “completely destroy” any attempt to undermine stability in Tibet and unity in China, Xi said. His remarks followed yesterday’s assault on a police station in the ethnic Uighur-dominated city of Hotan that killed two hostages, two policemen and a security guard, the People’s Daily said. The violence was an “organized terrorist attack,” the Global Times cited a local official as saying. The assailants set fire to the police station and used grenades and explosive devices, the Global Times cited Hou Hanmin, chief of the regional information office, as saying. The Global Times is an English-language newspaper run by the People’s Daily, which is controlled by China’s Communist Party. China has also struggled to quell uprisings aimed at corrupt officials and has moved to discipline them. Authorities today executed a former vice mayor of the eastern city of Hangzhou and an ex-vice mayor of Suzhou city, who were convicted of bribery, Xinhua said, citing the Supreme People’s Court. Xinjiang, where the central government in Beijing faces sporadic challenges to its power, was the scene of clashes two years ago involving Uighurs that left almost 200 people dead. Vice President Xi is in Tibet to mark the 60th anniversary of that region’s “peaceful liberation” by China. Like Xinjiang, Tibet has seen protests by Tibetans over discrimination and for greater independence. 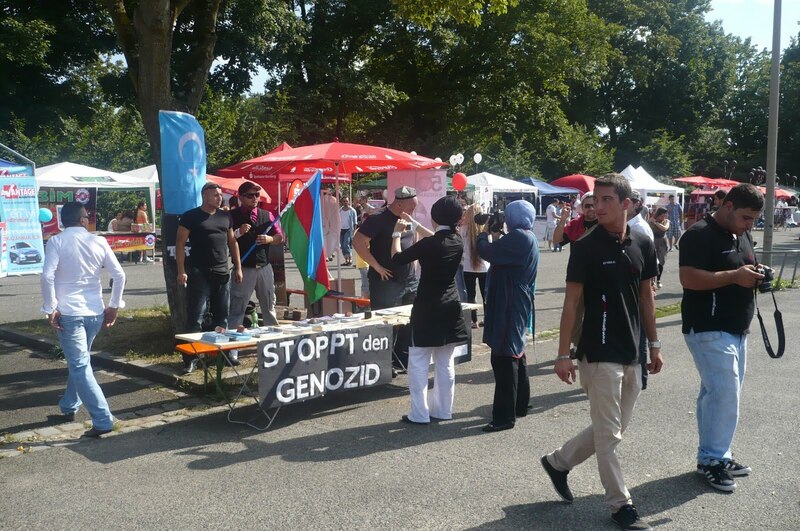 The Munich-based World Uyghur Congress, citing unidentified people in Xinjiang, said police fired on about 100 Uighurs protesters in the city’s main bazaar, according to a statement from the affiliated Washington-based Uyghur American Association. The demonstration was against land seizures and disappearances after the riots two years ago, the group said. “People should view the Chinese government statements with extreme caution,” said Amy Reger, a researcher for the Uyghur American Association. Years of central government policies encouraging migration of majority Han Chinese to areas such as Tibet and Xinjiang have stoked ethnic tensions. China views groups pushing for greater independence as seditious. The Dalai Lama this week met U.S. President Barack Obama in Washington, drawing protests from China. Muslim Uighurs, who make up less than half of Xinjiang’s population of 20 million, complain of discrimination by the Han, China’s dominant ethnic group, and unfair division of the region’s resources. About 96 percent of Hotan’s population is Uighur and 3.5 percent Han, the People’s Daily said. The Han make up more than 90 percent of China’s 1.3 billion people. The landlocked region, about three times the size of France, has China’s second-highest oil and natural gas reserves and was its biggest cotton producer. China last year began taxing profits on resources extracted from Xinjiang, keeping the money inside the region. Tens of thousands of security personnel were deployed in the provincial capital of Urumqi to quell the unrest in July 2009, Internet and mobile phone connections to Xinjiang were cut and President Hu Jintao was forced to leave early from a meeting with Group of Eight leaders in Italy. The Xinjiang riots also come as protests increase across China as income gaps widen. So-called mass incidents — riots, strikes and protests — doubled in five years to 180,000 in 2010, Sun Liping, a professor at Beijing’s Tsinghua University, said in a Feb. 25 article in the Economic Observer. Hotan is in southwestern Xinjiang, near China’s border with India and Afghanistan. The central government sent an anti- terrorist task force to Xinjiang after yesterday’s riot, Xinhua News Agency said. Bloody clashes in China’s restive western region of Xinjiang that may have left about 20 people dead erupted after Chinese police beat to death Uyghurs involved in a peaceful demonstration, a Uyghur exile group charged Tuesday. Official Chinese media, quoting officials in the region, called Monday’s incident in the remote Silk Road city of Hotan a “terrorist” attack, saying authorities have beefed up security in the area following the worst violence in Xinjiang in about a year. The People’s Daily, which is controlled by China’s Communist Party, raised the death toll from four on Monday to 18, but the Munich-based World Uyghur Congress said the figure was higher and disputed the official version of events. “They assaulted the police, took hostages, and set fire to the station,” the public security ministry was quoted as saying. 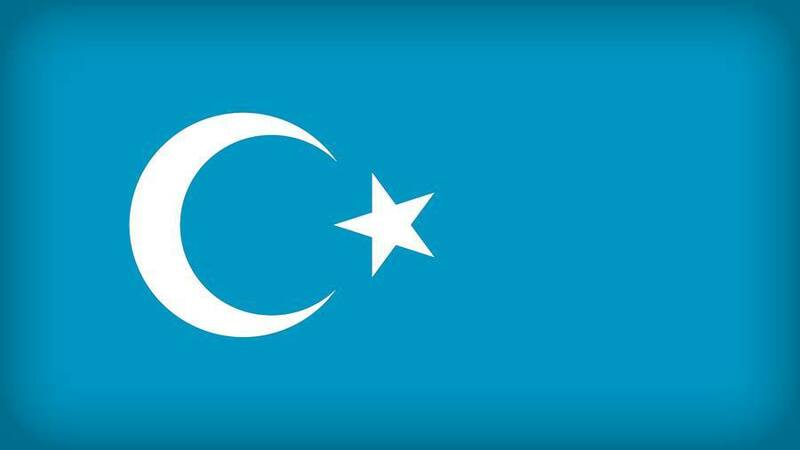 But Dilxat Raxit, spokesman for the Munich-based World Uyghur Congress, said that at least 20 Uyghurs had died in the incident, while 12 had been injured, including four women and an 11-year-old child. Quoting sources in Hotan, he said police first fired at a demonstration at the main bazaar of Hotan, in the Nurbagh area, where more than 100 local Uyghurs had peacefully gathered to protest a police crackdown imposed on the city for the last two weeks.Demonstrators had gathered and demanded to know the whereabouts of relatives who had gone missing in police custody, he said. “Armed personnel opened fire, leading directly to the deaths of six people, and injuring 12,” he said. “In the clashes that followed in the Narbak Street police station, the armed personnel opened fire and killed 14 Uyghurs,” Raxit said, citing local sources. The clashes erupted after a group of Uyghurs had tried to seize a number of police officers as leverage in their demands for the release of family members detained previously, he said. Many Uyghurs—a Muslim, Turkic-speaking people native to the Xinjiang Uyghur Autonomous Region—chafe under rule from Beijing and restrictions on their language, culture, and religion. They make up less than half of Xinjiang’s population after decades of immigration by the majority Han from other parts of China. A Uyghur man, living outside of Hotan, said his friends based in the city had also described a story very different from that being reported by official Chinese media, beginning with an attempt at a demonstration. “A bunch of riot police and armed police came rushing to the scene and took them to the police station and kicked and beat them … They beat them to death,” the man quoted Hotan Uyghurs as saying. Reinforcements from the national counterterrorism office in Beijing had been dispatched to the scene, Xinhua said. Raxit said police were now carrying out spot raids on Uyghur homes throughout Hotan city. He said tensions had been simmering in the area since the arrival of Han Chinese migrants, who had taken over Uyghur farmland. “This led to the Uyghurs losing their land,” Raxit said. “The people were gathering at the bazaar and had been planning to go to the municipal and district governments, when they were violently suppressed by the armed police,” he said. An officer who answered the phone at the Narbak Street police station said local people were being encouraged to inform on anyone acting suspiciously. “Calm has been restored … There is no martial law,” he said. But local residents said there was a marked increase in police patrols on the streets of Hotan, where 90 percent of the population are Uyghurs. “Sometimes there are patrols and sometimes there aren’t,” said a Han Chinese resident of Hotan. “The police have come to our doors and told us to be on our guard,” the man said. And an employee who answered the phone at a guesthouse in Hotan said all its rooms had been booked by the government following the incident. Raxit said police had detained around 70 Uyghurs following the clashes. He cited local residents as saying that a number of leaflets had appeared in neighboring Hotan county and Moyu county, calling for the release of detained and “disappeared” Uyghurs. “A lot of the leaflets also called for independence,” Raxit said. He called on the Chinese government to release the full number of Uyghurs who had died and who had been detained in the incident. A Uyghur health care worker who answered the phone at a local hospital said she had seen at least two seriously injured people arrive at the emergency department following Monday’s incident. “I [also] saw one of the people that had been at the police station,” she added. “He was bleeding very heavily. There was so much blood. I saw one patient with gunshot wounds,” she said, before hanging up in a hurry. Reported by Qiao Long for RFA’s Mandarin service and by Ho Shan, Hai Nan, Bi Zimo, and Wei Ling for the Cantonese service. Translated and written in English by Luisetta Mudie. Ikki Yil awal Sherqitürkistan xelqi zulumgha qarshi qozghulup, Xitay döliti yürgüziwatqan kultural we érqiy qirghinchiliqqa bolghan naraziliqini ipadilep, bashbaliq kochilirida seldek éqip, özlirining heqqaniy teleplirini otturgha qoyghanidi. Xitaylar tinch shekilde élip bériliwatqan u herketni qanliq toqunushqa aylanduriwetti.U qétimqi herket Sherqitürkistan xelqining wetinimiz tarixida élip barghan shanliq démikorattik herketlirining biri bolup, kölimining kelngliki, xelqarada qazanghan shan-shöritining yüksekliki we tajawuzchilargha bergen zerbisining küchlükliki, milliy herkitimizge qoshqan töhpisining yoquriliqi jehettin ilgiri yüz bergen herqandaq bir herkettin alahiyde perqlinip turghachqa Xelqimiz we dunyadiki zulumgha qarshi Adalet we erkinlik üchün küresh qiliwatqan xeliqler teripidin yad étilip kelmekte. Sherqitürkistan Xeliq Inqilawi Herkiti yüz bergen ikki yildin béri Sherqitürkistan Sürgündiki Hökümiti bashqa Sherqitürkistan teshkilatlirigha oxshashla bir qatar paaliyetlerni élip bérip, Xitaylarning 2009.yili Shawguen Sheheride we wetinimizning bashbaliqi Ürümchi uningdin bashqa Qeshqer, Qaramay, Ghulja, Qumul, Turpan, Aqsu, Hoten qatarliq Sheherliride Uyghur xelqige qarshi élip barghan dölet térorini qattiq eyiplidi we shu qétimqi basturushlarda ziyankeshlikke uchrighan 270 mingdin artuq Sherqitürkistan xelqining heqqaniy tuyghulliri bilen ortaqlashti. Sherqitürkistan Kultur Merkizi Sherqitürkistan Sürgündiki Hökümitige wakaliten Gérmaniyede paaliyet körsitiwatqan teshkilatlirimizning biri bolup, U mushu ayning 9.küni, bu qétim Gérmaniyede qanche künlerdin béri élip bériliwatqan Gérman-Türük-Kultur heptiliki paaliyitige „Ishghal Astidiki Sherqitürkistan“ namida qatnashti we Sherqitürkistanning ötmüshi, bügüni we kélichiki heqqide, paaliyetke qatnashqan 20 mingdin artuq ishtirakchigha muhim uchurlarni yetküzdi. Bu qétimqi Gérman-Türk- Kultur Heptiliki paaliyitige Engiliye, Fransiye, Awustiriye, Gollandiye,Bilgiye, Shiwitsariye, Luksunburg we Türkiye qatarliq döletlerdin kelgen méhmanlarmu ishtirak qildi. Palliyet bashlinishtin awal Yawropa parlamintidin, Gérmaniye hökümiti hem Gérmaniyediki barliq Partiye we ijtimayi teshkilatlarning wekillirimu qatnashti. Palliyetni teshkilligüchiler Sherqitürkistan Kultur Merkizining Sherqitürkistan Sürgündiki Hökümitige wakaliten oyushturghan xizmetlirige alahiyde yardemde boldi we qulayliq yaritip berdi. Sherqitürkistan Kultur Merkizining Informatsiyon tizgahigha Medeniyet bayrimi ötküziliwatqan meydanning ottursidin yer bérilgen bolup, uy yerge Sherqitürkistan xelqining azatliqi we musteqilliqining simiwoli bolghan muqedes kök bayraq taqaldi. Paaliyetke Sherqitürkistan Sürgündiki Hökümitidiki birqisim shexisler Sherqitürkistan Kultur Merkizining ezalirigha hemra bolup bashtin-axir qatnashti. Sherqitürkistan Kultur Merkizi Hökümetke wakaliten bayanat ilan qilip, Xitay mustemlikichillirining Sherqitürkistan xelqige jümlidin Uyghur xelqige qaratqan Érqiy we Kultural qirghinchiliqlirini eyiplidi we 2009 wetinimizde yüz bergen démikorattik herkettin kéyin yüz bériwatqan qanliq basturushtin ibaret dölet térorigha ayit ikki ming parchidin artuq resim, kitap, berishur qatarliq teshwiqat matériyallirini tarqatti. 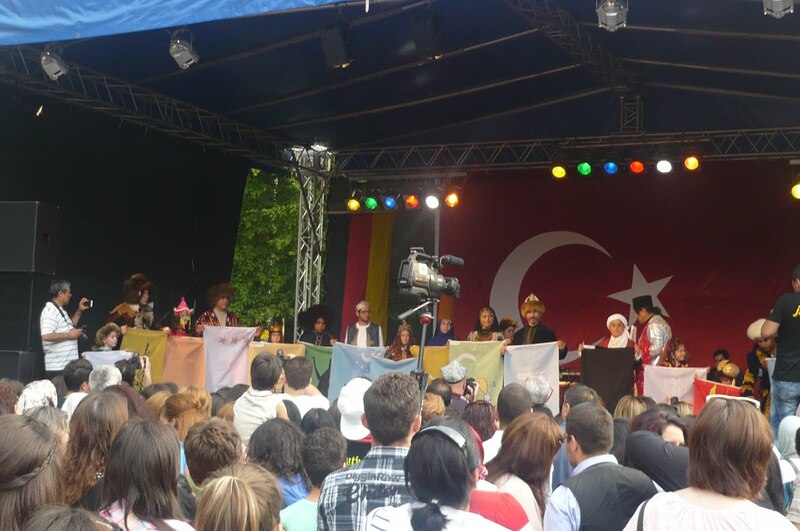 Bu Kultur heptilikini Türk we German ammiwiy teshkilatliri birlikte teshkilligen bolup, uning mezmuni mol, chétilish dayirisi keng orunlashturulghanidi. 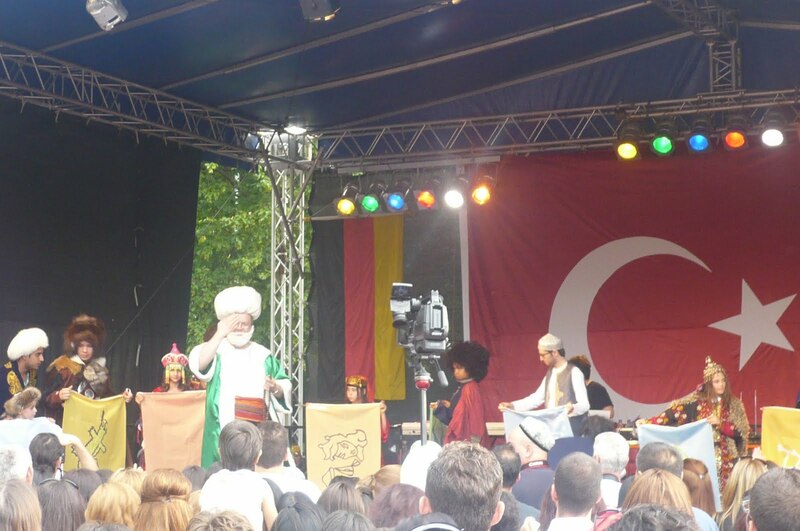 Türkler tarixta qurghan Imparaturluq we döletlerning bayraqliri muzika we alqish sadaliri ichide, shu dewirlerning kéyim-kéchek we qural-yaraqliri bilen jabdunghan kishiler teripidin sehnige tesherrup qildi.Bu Kultur Bayrimigha Türkiye, Sherqitürkistan , Azerbeyjan, Qazaqistan, Uzbekistan, Türkmenistan, Qirghizistan, Tajuikistan, Yaqutistan, Tataristan, Qirim, Qaraqalpaqistan, Altay, Xakas, Awar, Shur, Chichenistan, Afghanistan, Iran, Iraq, Kemchatka, Daghistan, Bashqurtistan, Bosiniye, Kosowo, Yunanistan, Bulgharistan, Russiye qatarliq dölet we rayonlardin kelgen türk dunyasigha mensup minglighan qimmetlik mihmanlar qatnashti. Bugunki 50 tin artuq Türki milletler özlirining kiyim-kéchekliri we Folklori, milly iptixarsimwoliri, bayraqliri bilen sehninni ajayip janlanduriwetti. 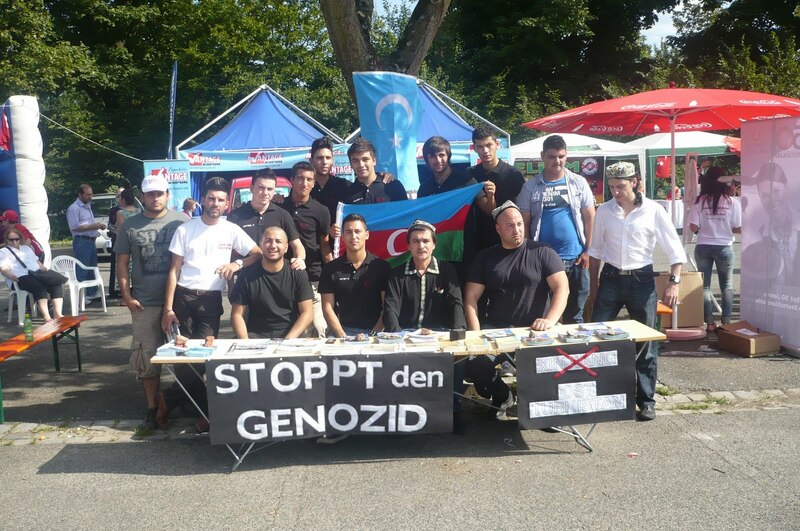 Tarixtiki Imparaturluq we Döletlerge, bügünki dölet we xeliqlerge simiwol süpitie alahiyde paaliyetke teshrip qilghanlar „Sherqitürkistangha Salam!“, „Uyghurlar Dayim Yadimizda!“, „ Biz Sherqitürkistanni Unutmaymiz!“ dep shuawar towlidi.Uyghur Imparaturluqi, Qarahanlar Imparaturluqi we Sherqitürkistan Jumhuriyitining bayraqliri, özgür we musteqqil türk döletlirining bayraqliri arisida sehnide jewlan qilip, Sherqitürkistan Xelqining parlaq kélichikidin bisharet berdi! Sehnide tekrarlinip turghan „Sherqitürkistan“ , „Uyghur Imparaturluqi“, „Uyghur Bayriqi“ dégendek sözler Paaliyetke qatnashquchilarning, Sherqitürkistangha bolghan diqqitini téximu ashurdi.Tonulghan sennetkarlar Uyghur bayriqini sehnide lepilditip, mana bular Asiyada „Büyük Hün Imparaturliqi“, „ Köktürk Imparaturluqi“, „Uyghur Imparaturluqi“, „Qarahanlar Imparaturluqi“ we „Qeshqeriye Döliti“ni qurghanlarning yeni Uyghurlarning bayriqi! dep tamashibinlargha xitap qildi! Sherqitürkistan Kultur Merkizi 2007.yili Gérmaniyede qurulghan Sherqitürkistan Birliki Teshkilatining bügünki dawami bolup, u qurulghandin béri Yawropa miqyasida bir qatar paaliyet élip bérip, Sherqitürkistannning Ishghal Astidiki dölet ikenlikini, sherqitürkistan milliy herkitining bir démokratiye we kishlik hoquq dawasila bolup qalmay, eksinche igilik hoquq we milliy musteqilliq dawasi ikenlikini ochuq-ashkare dunyagha jakarlap kéliwatqan teshkilatlarning biri bolup, merkizi Yawropada tesirining küchlükliki bilen alahiyde tonulghan bir teshkilattur. Teshkilat ezaliri paaliyet jeryanida bezi hökümet we axbarat orunliri bilen söhbette bolup, Sherqitürkistanda dawamlishiwatqan érqiy kemsitish, ishsizliq, pilanliq tughut, Ikilogiyelik buzghunchiliq, pilansiz köchmen yötkesh, milliy zulum qataliqlar heqqide pikir almashturdi. Bu teshkilat bu qétimqi kultur heptilikige Sherqitürkistan Sürgündiki Hökümitige wakaliten qatnashqan bolup, teshkilatning „Ishghal Astidiki Sherqitürkistan“ Paaliyiti shu küni Gérmaniye waqti saet 14:00 de bashlinip 22:00 giche dawamlashti. 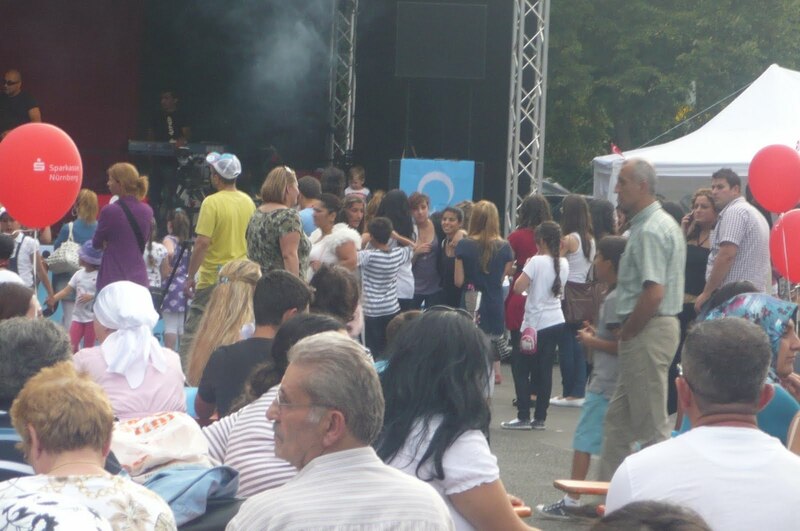 Bu bir künlik paaliyet jeryanida nurghun ammiwiy teshkilatlar we muhim shexisler bilen alaqe ornitildi.Axirda palliyetni organize qilghanlar teshkilat ezalirini Türk tarixi muziyini ikiskursiye qildurdi.Bir künlük palliyet köngüllük we netijilik axirlashti! Sherqitürkistan mustemlike astida qalghan yérim esirdin köprekwaqit, xelqimizning tarixidiki qan-ayshqa tolghan, qaranghuluq qaplighan bir dewir boldi.Bu jeryanda Sherqitürkistan xelqi Xitay tajawuzchillirining qulluq tüzümige qarshi talay qétim qarshiliq bildürdi, özlirining hüriyiti we azatliqini qolgha keltürüsh yolida éghir bedellerni berdi. Emma passip xelqara weziyet we Xitay tajawuzchillirining chékidin ashqan pashistik zulumi millitimizning tajawuzchilarning boyunturiqidin qurtulup, üzil-késil milliy musteqilliqini qolgha keltürishige putlikashang bolup kelmekte. Sherqitürkistan xelqi bu jeryanda tajawuzchilargha qarshi kürishini bir minutmu toxtatqini yoq. Bolupmu 2009-yili 5-Iyulda Sherqitürkistanning bashbaliqi Ürümchini merkez qilip partilighan Sherqitürkistan Xeliq Inqilawi Herkiti Xitay tajawuzchillirigha ünümlik zerbe bérip, ularning tarixtin béri ana wetinimizni menggülük yutiwélish heqqide tüziwatqan shum pilanlirini köydürüp külini kökke soriwetti. 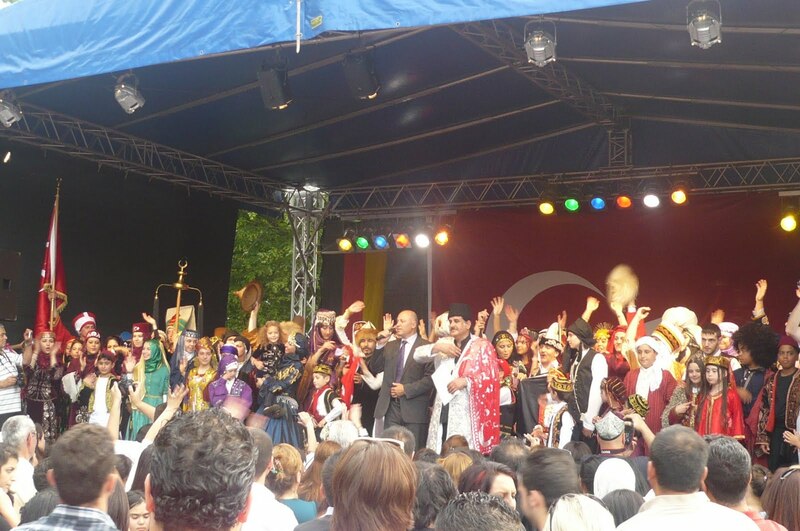 Xitaylar gerche Sherqitürkistan Xeliq Inqilawiy herketini taki hazirghiche qanliq basturiwatqan bolsimu, tajawuzchilar qanche essebiyleshkenche yüz bériwatqan hadisiler ularning paydisi üchün emes, pütünley eksiche milliy inqilawimizning xelqaralishishini tizlitip, bu jehette bizning tarixta yételmigen meqsetlerge yitishimizge asas yaritip,xelqara sorunlarda Xitay hökümitini qattiq passip haletke chüshürüp qoydi. Dunyaqda hazir 2009 da yüz bergen Sherqitürkistan Xeliq Inqilawiy herkiti we Xitay hökümitining weqedin kéyinki qanliq qirghinchiliqi sewbidin Uyghurlarni we mustemlike astidiki Sherqitürkistanni bilmeydighanlarning sani intayin az qaldi.2009 diki Sherqitürkistan Xeliq Inqilwaidin kéyin Uyghur xelqining azatliq kürishige hésidashliq qilidighanlarning sani künsayin éship, Xitaylarning xelqaradiki yüz-abroyini körünerlik derijide yerge urdi.Bu ghelbilerni elbette teqdirleshke erziydu.Shu qétimqi herketni élip barghan oghlanlirimizning nami tarix betliride ebediy julalap turghusi. Sherqitürkistan Xeliq Inqilawiy herkiti, Sherqitürkistan Milliy herkiti tarixidiki öz meqsidige toluq yetken pilanliq we programmiliq bir qétimliq inqilap bolup, bu herket xelqaragha Sherqitürkistan digen bir döletning xitay tajawuzi astida turiwatqanliqini anglatti.Bu herket Sherqitürkistan xelqining zulumgha bash egmeydighanliqini dunya xelqige yene bir qétim jakarlidi.U herket Sherqitürkistan xelqining erkinlik we hüriyet üchün tarixtikidekla üzlüksiz dawamlishiwatqanliqini, toxtawsiz tereqqiy qilidighanliqini ashkarilidi.Bu herket Uyghur we uning qérindashlirining Xitaylar bilen ölsimu qéni qoshulmaydighanliqini ispatlidi.Bu herket Xitayning kéngeymichilik qilish, zorawan we jahangir döletke aylinish xam-xiyalining chawisini chitqa yéyiwetti.Bu herket xelqimizge ishench we ghurur élip keldi. Bu herket Sherqitürkistanda özige-özi xoja, igilik hoquqigha ige bir döletning bügün tughulmisa erte dunyagha kilidighanliqidin ibaret heqiqetni yene bir qétim ispatlidi. Biz Sherqitürkistan Sürgündiki Hökümiti bolush süpitimiz bilen, ikki yil ilgirki Sherqiy Türkistan Xeliq Inqilawiy herkiti üchün tölengen bedellerning qanchilik zor bolghanliqigha qarimay, uning weten ichi we siritida qolgha keltürgen ghayet zor ijabiy netijillirige ihtiram bilen yoquri baha bérimiz.Shuning bilen birge Sherqitürkistan Xeliq Inqilawi Herkitining aktip ishtirakchillirigha „Xeliq qehrimanliri“ dégen shereplik namni textim qilimimiz. Axirda shu herket yolida qurban bolghan qiz-yigitlirimizni elem bilen yad étimiz we ulargha alladin rehmet tileymiz, ularning uluq iradisige warisliq qilidighanliqimizni ghurur we milliy iptixar bilen jakarlaymiz, türmide azap chékiwatqan qérindashlirimiz we ularning aile-tawabatlirigha sewir we irade tileymiz we ulardin semimiy hal soraymiz.